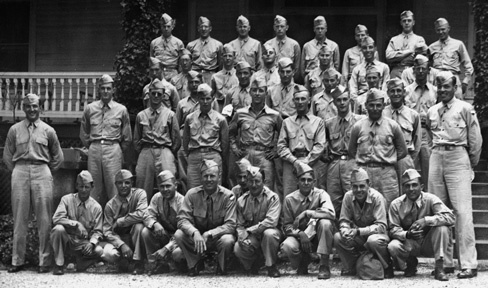 Second Platoon, Company C, 35th Infantry Battalion, Camp Croft, June 1943. Top row, fourth from left, Garland. 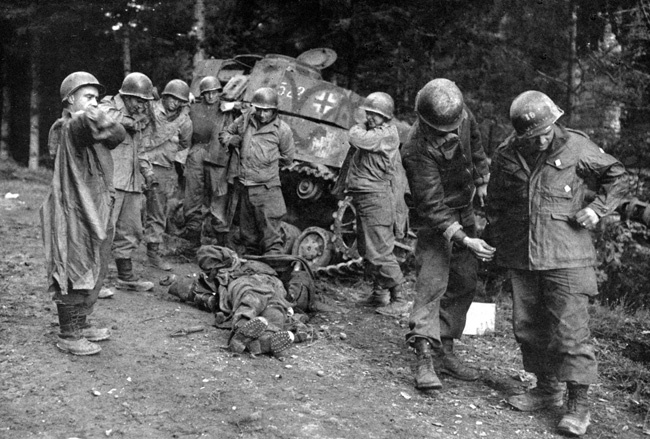 Seventh from left, Dunleavy. Fourth row, in front of Garland, Goldfarb, then Furber. Below Dunleavy in the third row, Dave Goss. Standing, Corporals Mazurowski (left) and Magnuson (right).